But guess what?Ã‚Â At this moment, Peraza is hitting .275/.322/.381. Is that great? No. He was an 89 wRC+, which means heÃ¢â‚¬â„¢s about 11 percent worse than the average hitter. But his OBP is above average, and historically that 89 wRC+ is actually better than shortstops usually are relative to the league. And while heÃ¢â‚¬â„¢s not Cozart with the glove, IÃ¢â‚¬â„¢m also confident in calling him well above average at short. According to FanGraphs, heÃ¢â‚¬â„¢s been slightly above average so far (1.2 WAR), and according to Baseball-Reference heÃ¢â‚¬â„¢s been a bit more above average (1.4 WAR). 2 WAR is generally regarded as average for a full season, and we are, obviously, right in the middle. He’s improved his numbers since I wrote the piece. I encourage you to read the whole thing. 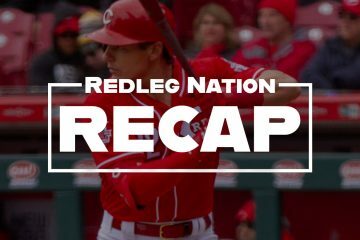 What Should the Reds Do with Michael Lorenzen? 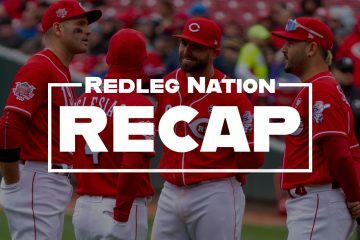 Jason while I do agree that peraza has been adequate and I do believe improving,the fact remains that reds have India and senzel,I’m thinking an infield of votto, Suarez, india,and senzel would be devastating,I like that future,now if peraza can play center,I like that to. Maybe we should let India play a season or two in the minors before deciding he’s ready for the big time. We also want to see Senzel have a healthy thumb and to be sure that the worst of his vertigo issues are behind him. Also, I’ll note that between India, Senzel, and Suarez, I don’t really see an MLB caliber defender at SS. I think is was a given and still is that he had this year to prove he could or couldn’t and why not.He played at second most of the time the first year and a half and this will we his first full year at shortstop in the majors.His issues at the plate are what they are but from time to time he does show some pop and will walk.When they become the rule rather then the exception then you have something to work with but please lets not go into his third year hoping he turns the corner.Yeah I know Billy got 5 years and will probably get 6 but please lets stop that nonsense. Peraza has been, essentially, a league average hitter this year. You don’t need to wait for him to turn the corner. Shortstops are, historically, typically 15-20% below league average across the board. Peraza is probably a 3 WAR player now. That’s above average. He’s good now. This is my point. Again, not all prospects pan out. Also, Peraza, at 24, is hitting as well as Suarez did at the same age. How much SS did India play in NCAA? I’m not saying he can’t as he’s athletic and has enough arm to do it. What I’d say is lets not assume he’s going to have the defensive chops to play SS regularly in MLB. Heck, for that matter, lets also not assume he’s going to be able to hit. Likely? Yes, I have confidence he will hit. My confidence that a guy can play SS in MLB when he didn’t play SS much as an amateur however is much lower. Are you folks reading the article of just the headline and the excerpt? My eye was drawn to the excerpt first because it’s bolded. I read the article and the data does speak for itself but I just disagree that after less then 100 games in year 3 its enough to anoint him as the short stop of the future.I hope your right because I do like his pop and I expect him to get better but lets se where he is at the end of this year. But you just anointed someone who is currently in rookie ball at an age when Peraza was getting a cup of coffee in the majors. You gut the wrong guy Jason.I haven’t anointed anybody in rookie ball or anywhere else. Sorry about that. Got you mixed up with another commenter. Practically speaking, he is the shortstop now and will be in 2019. The reds traded for Peraza to be the SS. They let Cozart go so Pereza could be the SS. They had all of ST and 2 months to make Senzel a shortstop- they backtracked. Jonathan India is years away and is playing 3b so far. Peraza is the shortstop. Suarez is 3b. Votto is 1b. Good stuff and I happen to agree and have advocated patience with him from the start. IÃ¢â‚¬â„¢ve alluded in the past to those early Jose Altuve years relative to Peraza. Now hes no Altuve, but he may peak at something like .315/.370/.400 Ã¢â‚¬â€ pretty sure heÃ¢â‚¬â„¢ll be an Allstar with 2-3 years of that. Will be fun to watch. Good article. I’m not sold on Peraza at the plate (because of the lack of walks) or in the field (awkward/stiff around the bag). But you make a persuasive argument. His performance this year has exceeded my expectations, and he is so young; he may indeed become a consistent above average SS. He’s grown on me quite a bit…sometimes I think I was just spoiled with so many years of Concepcion, Larkin, and Cozart. I know that I was spoiled by those guys. Not sure how you can be spoiled by Cozart. He sucked every year except the last 2. The Angel’s are paying for last years juiced ball now for the next 3 years. I’m so glad you put this article out. I feel like so much time gets wasted on trying to play somebody out of position to replace a 24 year-old who has a good attitude and is a hard worker by all accounts, who ranks this year 11th, 14th, and 18th in BA, OBP, and OPS respectively across qualified MLB shortstops. And can play at least MLB average defense at shortstop. If somebody is breaking the door down in a few years, so be it, but why all the positional gymnastics for a cheap, young guy like that who is perfectly acceptable? I think your comment reflects my thoughts on the matter about as well as it can be said. Interesting tone to this thread, mirroring much of what we read throughout Redleg Nation — the presumption that India and some others in the farm system are going to be major league starting players. Look at what has happened to Senzel — vertigo (which may or may not be completely remedied) and now a broken finger (which won’t affect his performance once it’s healed). We all hope India is an all-star-caliber player, but there is absolutely no guarantee of that. Just because someone somewhere puts the label of great prospect on a player is no guarantee whatsoever that the player is going to make it. It is part of this mindset that prompts some people to be so anxious to trade Scooter Gennett, who is on pace to be a 5-WAR player this year, because certainly Senzel, Shed Long, Dilson Herrera or someone who has little to no major league experience must be better than that. I understand the mindset of trading someone when their value is the highest, which Gennett’s certainly is now, but just be careful what you wish for. Regarding Peraza, he appears to be improving at the plate — certainly so in his ability to lay off pitches outside the strike zone. He had some not-so-stellar defensive moments Sunday vs. the Cubs. I sometimes wonder about his range, but nobody ever said he was Andrelton Simmons. According to my eye test, I agree with Jason that Peraza currently projects as a better-than-average shortstop. Here, here. Nice take, Tom. If India becomes an MLB starting shortstop, great, but who knows. 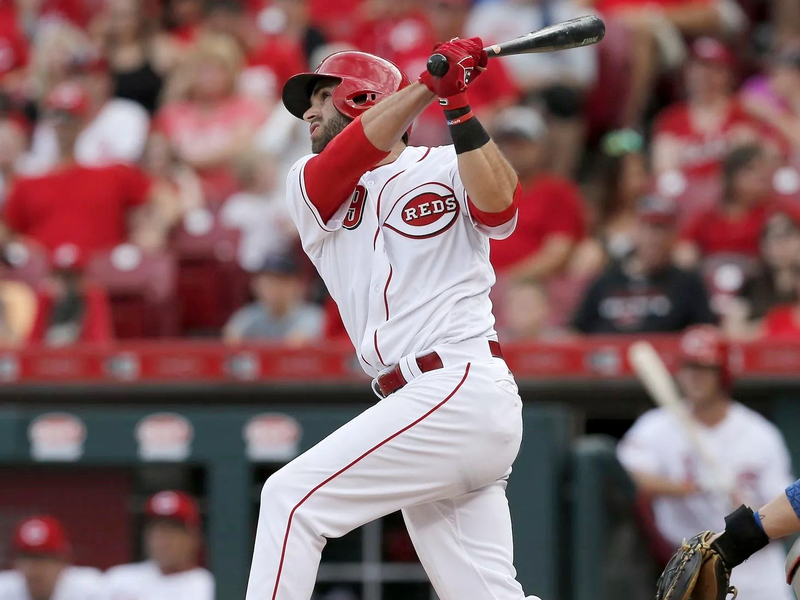 Peraza has shown improvement and maybe there’s more to come. I think Peraza has played awfully well this year. He looks good with the glove and he doesn’t strike out much. In my mind, if he is able to keep this up, he isn’t someone whom we need to look for a replacement. If he gets 3 WAR at shortstop, I’d rather the Reds go after a good starting pitcher, or an outfielder. I don’t understand if people think a 24 year old Peraza ought to be playing like Barry Larkin in his prime, or what. But lets not fix what isn’t broken, and if we wind up with too many great infielders in a year or two, then that will be a good problem to have. No! The shortstop of the future is Manny Machado! If the Reds can’t or won’t sign him, then maybe. Peraza is young, improving and has earned the everyday SS of the near future, 2018 and 2019. I agree with the comment on positional gymnastics. If Senzel is the SS of the future, he should have been playing there the last 2 years. It’s past time for positional certainty for Senzel. That said, Peraza is not above average. He’s well below average. He is better this year than last year, no doubt. But, he’s one of the worst offensive shortstops in baseball. His OPS is 30th amongst shortstops and his wRC+ is 29th. MLB players at CF and SS are the greatest athletes in the world. There’s a higher standard. You don’t compare Peraza to the Reds internal options ( little to none). You don’t compare him to shortstops from a different era, Mark Belanger or Jose Lind. You don’t compare him to the hypothetical replacement guy- Yeah, he’s better than Jerry Hairston. Instead, you compare Peraza to his MLB peers-Francisco Lindor, Manny Machado, Jean Segura, Andrelton SImmons, Brandon Crawford, Carlos Correa, Trea Turner, Xander Bogarts, Addison Russell. The Dodgers have 2 shortstops better than Peraza in Chris Taylor and the injured All Star Corey Seager. There’s Paul DeJong and Didi Gregorius and Trevor Story and so on. Peraza is light years and log factors below Lindor and Machado and Seager and Simmons. He’s earned a long look this year and next. But, he’s not an above average 2018 MLB shortstop. Gosh, give Peraza a chance. I remember watching Didi early in his career & thought he was all glove & no hit. Now look at him. Regarding Senzel, he might turn out to be great but when I hear vertigo, I think of two words, Nick Esasky. The problem with the Reds is not the SS, it’s pitching.